When choosing a Summer holiday destination, weather plays one of the most important roles for maximizing chances of good weather during your stay. Knowing the weather patterns of your chosen holiday spot can go a long way in prepping for the holiday that awaits you. For holidays at the coast, a moderate climate is ideal, as it rarely gets too hot or too cold. Knysna and Plettenberg Bay, both have very moderate climates. They are also located on the Indian Ocean, meaning the sea waters do not get as cold as they do in Cape Town, making swimming and water-sports much more enticing. They also don’t get the strong winds experienced in Cape Town in December and January. Knysna in particular, has the added delight of the safe and fairly sheltered lagoon, that keep the waves and currents gentle especially on Leisure Isle beach. The good South African weather brings many tourists here every year but why are Knysna and Plett so especially advantaged? – Warm Summers traditionally stretch from October through to March and Winters still see many warm sunny days; just the nights are cooler. -Always pack light sweaters and trousers for cooler dawns and evenings. -The weather often changes 3 or 4 times in a day so always be prepared. -It is advisable to keep some sun screen in your handbag or car at all times and if you leave home for a full day in shorts and summer dresses, throw in a cardigan, shawl or pair of jeans for late afternoons. -The weather is rarely harsh or extreme and in Knysna and Plett, never icy. Midday temperatures remain in the mid twenties (Celsius), mid-eighties Fahrenheit on most days. Rest assured that in general, the weather of Plett and Knysna is hospitable with generous amounts of sunshine, so waste no time in getting here and enjoying it with us. -In addition this tide table for Plettenberg Bay [valid until August 2015] may be useful. -More detailed tidal info can be found at the South African Hydrographic Office Website. This week, we highlight two luxury rental properties that lend themselves to taking advantage of the South African weather with lots of outdoor space. Beachscape is located in Plettenberg Bay, while Crystal Waters is in Knysna. Both properties offer the absolute finest amenities and top quality finishes. Have a look at the superb photos below to ‘whet your appetite’ and if you love what you see, be sure to click on the links below for more information! 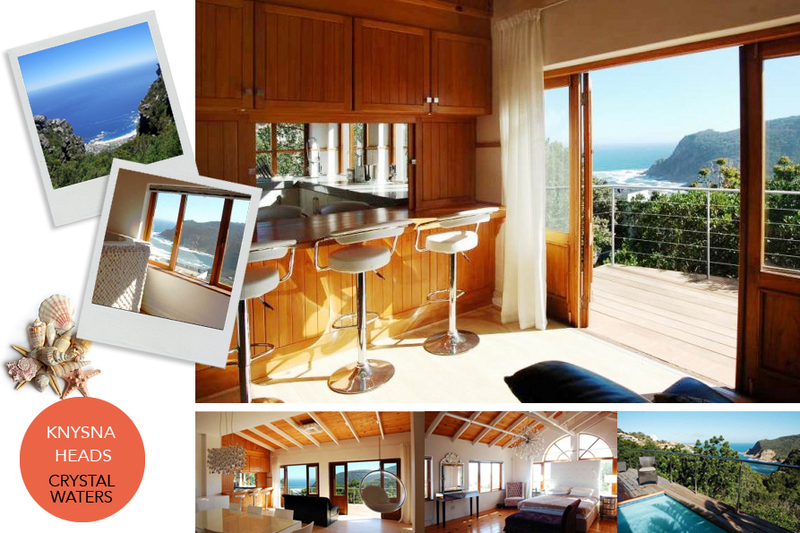 Many upmarket properties in Knysna enjoy views of either the Indian Ocean or the famous Lagoon. Crystal Waters offers both! Where can I find out more about Crystal Waters? For more information on this luxurious rental property and to check the availability, click here. 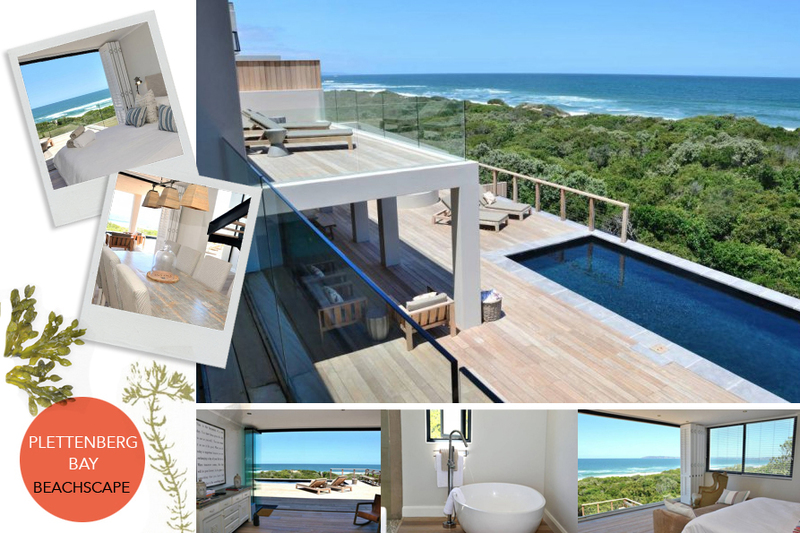 This stunning property is aptly named ‘Beachscape’ as it overlooks the Indian Ocean, a few steps from Keurboomstrand. Where can I find out more about Beachscape? For more information on this luxurious rental property and to check availability, click here.